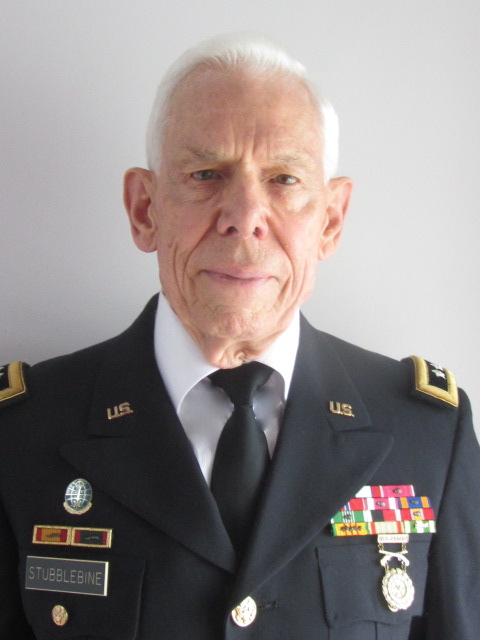 A Natural Solutions Foundation Media Release: Maj. Gen. Albert N. Stubblebine III (US Army Ret. )'s Estimate of Situation about Fukushima, Japan, focusing on the immediate threat to the Northern Hemisphere emanating from the highly radioactive ruins of the 5 Fukushima nuclear reactors. Maj. Gen. Albert N. Stubblebine III (US Army Ret. ), President of the Natural Solutions Foundation, an international NGO (non-governmental organization), released a 27 minute public service Estimate of Situation about Fukushima, Japan focusing on the immediate threat to the Northern Hemisphere emanating from the highly radioactive ruins of the 5 Fukushima nuclear reactors. The video is available without charge at http://www.GeneralBert.com. General Stubblebine details in his riveting video the amounts of radioactive materials that will be propelled across the Pacific and across the United States if the Fukushima reactor structures (especially Spent Fuel Pool Number 4) collapse. With over 15,000 ‘spent fuel rods’ on the site, the Fukushima reactors have accumulated one of the largest stockpiles of these dangerous, intensely radioactive materials on the planet. No remediation work is being done at the site; there is no official remedial planning or disaster preparation. No private remediation, or public discussion of the need for it, is permitted by the Government of Japan under its new suppression of nuclear discussion laws. The Natural Solutions Foundation joins seventy Japanese NGOs(1) in calling upon the Secretary General of the United Nations and Prime Minister of Japan last month to coordinate emergency action to shore-up critical structures now at imminent risk of collapse. It has been variously estimated(2), that a relatively mild earthquake (i.e., 5.0 or greater on the Richter Scale) will collapse the previously damaged Spent Fuel Rod holding tank of Unit No. 4, containing 85 times the amount of radioactive Cesium137 contained in Chernobyl's now-entombed reactor. An estimated 1Million Europeans are believed to have died as a direct result of that radiation emission following the nuclear explosion of Chernobyl. The US Government's statistics document an excess death rate of 20,000 US residents, mostly healthy infants, in the first 9 months following the multiple nuclear events at Fukushima. .
As a humanitarian, strategist, intelligence analyst, father and grandfather, General Bert understands that doing nothing is, quite simply, not an option. Following his incisive Estimate of Situation, General Bert’s free public service video outlines four simple steps you can take to protect yourself and your family. Please visit http://www.GeneralBert.com to access this urgent warning and subsequent updates without cost. And please share this link with all your circles of influence. The Trustees of the Natural Solutions Foundation, the largest health freedom organization in the world, urge your participation in disseminating this message since the mainstream media has remained curiously silent in the United States on this massive increase in radiation. The lack of information is, however, a matter of State policy in Japan where it is now a felony offense to discuss negative aspects of either nuclear power or the Fukushima situation in particular.